Obituary – Buffington, Wilma Lorene (Busse) « Perry High School Alumni Association, Inc.
Wilma Lorene Buffington, Perry, Oklahoma, was the daughter of Ernest Frank and Iva Myra (Moore) Busse. She was born September 3, 1928 at Perry, Oklahoma, and died Monday, August 20, 2001, at Stillwater, Oklahoma at the age of 72. She was a 1946 graduate of Perry High School and was a life-long resident of Noble County. On September 6, 1946, she and Phillip Lee Buffington were married at Winfield, Kansas. Her husband preceded her in death on March 15, 1999. 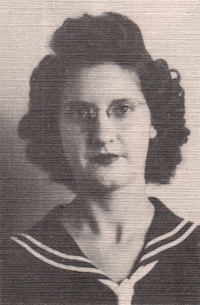 A member of Christ Lutheran Church, Mrs. Buffington was a homemaker. Funeral will be at 10:00 a.m. Thursday, August 23, 2001, at Christ Lutheran Church with Rev. Walter Wehmeier officiating. Burial will be in the Richburg Cemetery, southeast of Perry, under direction of Brown-Sisson Funeral Home. Memorials may be made to Christ Lutheran Church. Survivors are two sons and daughters-in-law, Larry and Kenna Buffington, Perry, Oklahoma, and David and Mary Ann Buffington, Payson, Arizona; one daughter, Ronda Buffington, Perry, Oklahoma; a granddaughter, Desi Buffington, Perry, Oklahoma; a grandson, Matt Buffington, Payson, Arizona, and two sisters, Zelma Peters, El Reno, Oklahoma, and Marge Cowell, Perry, Oklahoma. In addition to her husband, one sister, Dorothy Gilley, and her parents preceded her in death.